Ever since I was a little girl, I have loved the theatre and as I’ve grown older I have realised just how lucky I am to live in the North East. We have some amazing theatres up here that attract some of the best shows direct from the West End. 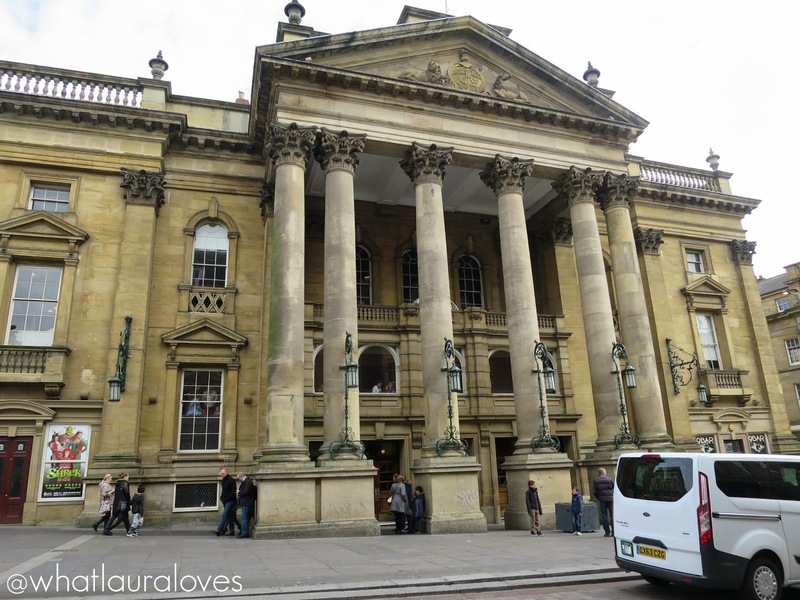 The Theatre Royal in Newcastle is one such venue, standing proud on Grey Street amongst some of the city’s best restaurants, bars and shops. 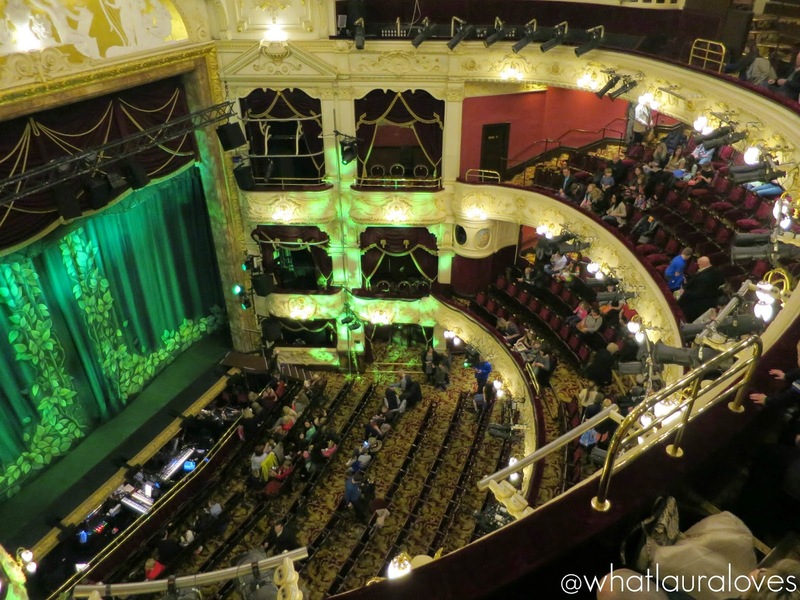 Attracting some of the country’s best West End musicals along with comedy, ballet, drama and operatic performances as well as a fabulous Pantomime at the end of the year, the Theatre Royal is the best venue for such performances in Newcastle. Aside from the shows being a true spectacle, the building itself is pretty impressive too and really rivals some of the most famous theatres in London. The Grade 1 listed landmark was built back in 1837 and reconstructed in 1901 following a serious fire, making the Theatre Royal not only one of the most aesthetically pleasing theatres in the UK but also one of the most historic too. This month, I was lucky enough to attend a matinée performance of Shrek The Musical with my Dad. I was so excited to attend as I’d heard so much about the musical from friends who had seen it when it was on stage in London. I’ve loved Shrek since I first saw it at the cinema when I was in my teens so to see it brought to light on stage was magical. I was so tempted to buy some of the merchandise available as there was some Shrek ears on offer but I managed to restrain myself! I’d really recommend the show if you have the opportunity to see it, especially if you have children as it is suitable for all of the family with plenty of jokes in the script for the adults too. The music in it is fabulous, with a huge performance of I’m A Believer at the end. Once again, I was thoroughly impressed with the theatre from the speedy ticket collection and the kind service from the stewards to the grand design and cleanliness of the venue. It is definitely the place to take someone you’re looking to treat or impress. The design is opulent and really beautiful inside with beautiful murals on the ceiling, dark wood and soft lighting. There are three bars that are open for drinks before the performances and during the interval, where they can be ordered in advance so that they are waiting for you during the break, saving time and queuing. There’s a great selection available from soft drinks through to fine wines, beers and spirits with snacks available too. Afternoon tea is also available on selected dates which I think is a lovely touch, especially if you were visiting the venue for a special occasion. My favourite thing about the Theatre Royal is how comfortable and accessible it is for all of the family. Unlike some theatres I’ve been to, it has a lift that can take you right up to the top of the venue which is a godsend for those sitting in the Gallery. I’ve been to theatres before where I’ve had to walk up lots of incredibly steep steps which can get a little uncomfortable, especially if you’re claustrophobic or scared of heights. Not to mention that it makes the cheaper seats in the gallery unavailable to those who may struggle with the stairs. At the Theatre Royal, there’s two options; a grand staircase with plenty of breaks on platforms and wide steps or the lift. There are plenty of toilets which are spread out across the different floors of the venue which I think is ideal, especially for parents bringing little ones as I noticed quite a few needing to pop out to the restrooms during the performance. The seats at the Theatre Royal are very comfortable as well; nicely spaced with plenty of leg room and with lots of padding and short arm rests which makes watching a long performance very comfortable and these are touches that are even more welcome if you’re a larger person or someone with long legs. There are even booster seat pads available without the need to leave a deposit for those who need them which is particularly handy for children. I remember going to another theatre as a child to watch a pantomime and I couldn’t see over the persons head in front of me. I could have really done with one of those booster seats then! 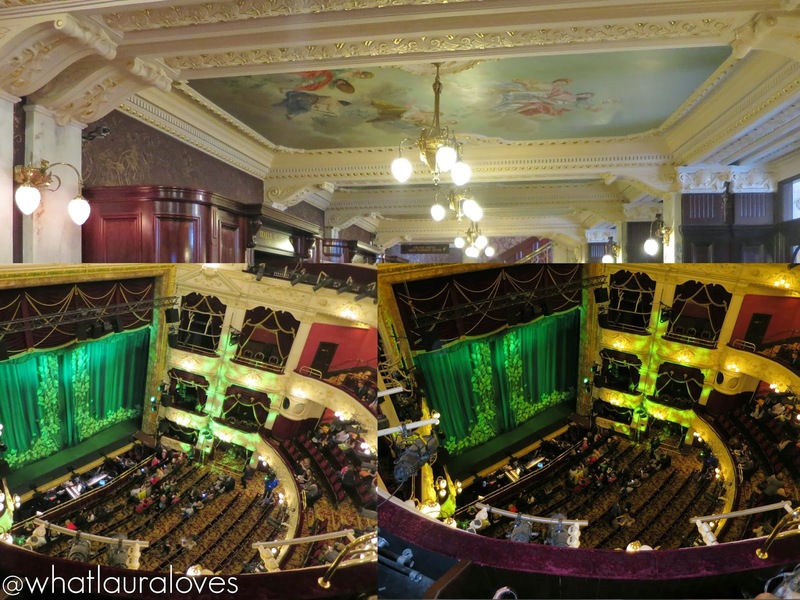 Despite sitting in the gallery, we had a fabulous clear view of the stage and I was really impressed with how comfortable it was to watch the performance from such a height which was something that I wasn’t expecting. These seats are great if you suffer from anxiety or don’t like being in large crowds of people as there is lots of space up there and not too many people in one area. The Theatre Royal staff still serve their special artisan ice cream up there during the interval which is a welcome touch if you’re not wanting to leave your seat to head down to the bar area. On this particular occasion, we made a bit of a day of it by going for lunch and drinks before and after the show. That’s the great thing about the Theatre Royal- it is ideally located for so many great eateries and bars whether you’re looking for a light bite and a coffee in Pret, lunch and a glass of wine in Carluccios or a expertly mixed cocktail alongside a meal at Jamie’s Italian or the latest Newcastle hot spot, The Botanist. 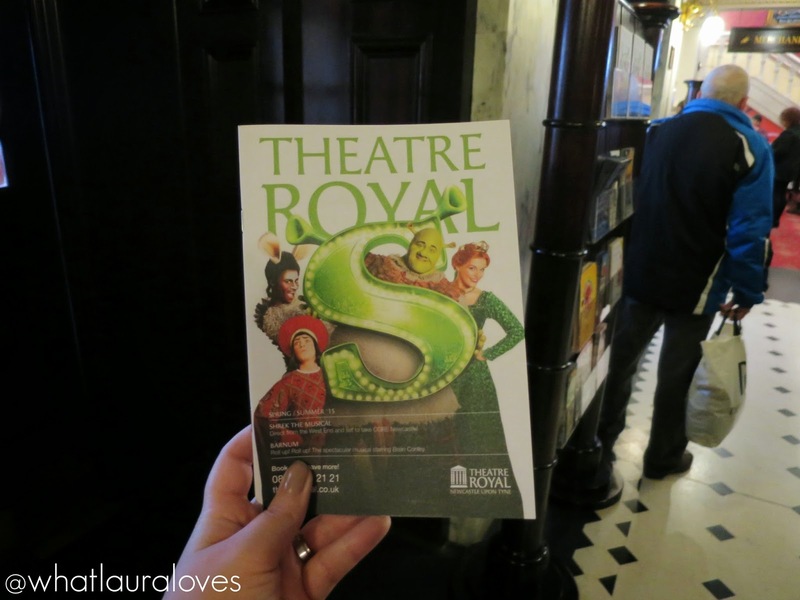 There’s so much more I could tell you about the Theatre Royal but the points I’ve mentioned here are the things that really make it one of my favourite places to visit in Newcastle Upon Tyne. I’d highly recommend giving the venue a visit whether you’re a local or visiting the area, you’ll certainly not regret it. I love Newcastle because it has everything you’re looking for in a city whether thats culture, nightlife, sport, theatre or architecture. You only have to walk along the streets and look up to see how beautiful the buildings are. Us Geordies are pretty friendly people too and you’ll never fail to see a happy smiling face amongst us, ready to share our Geordie humour! 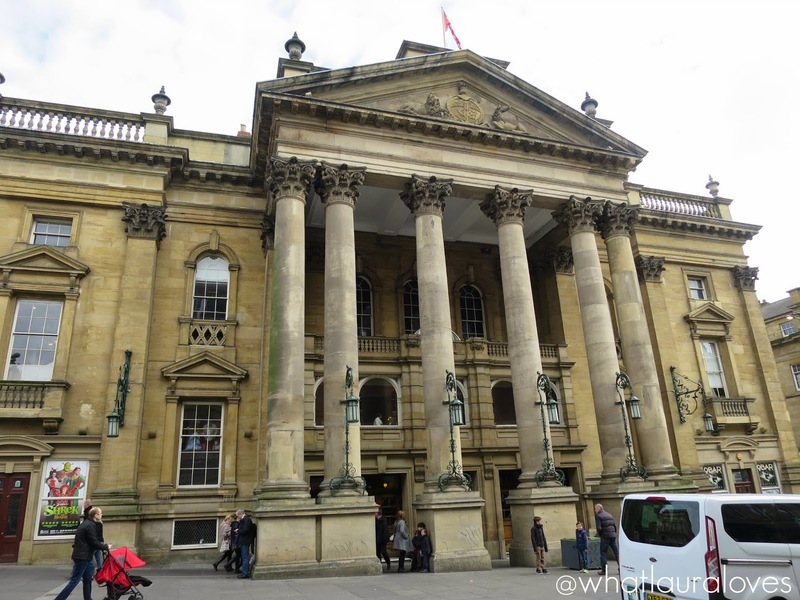 To discover more about what the city has to offer, then check out this great guide to Newcastle and to find out more about the Theatre Royal, to see which shows they have coming up and to book tickets, head on over to their website. 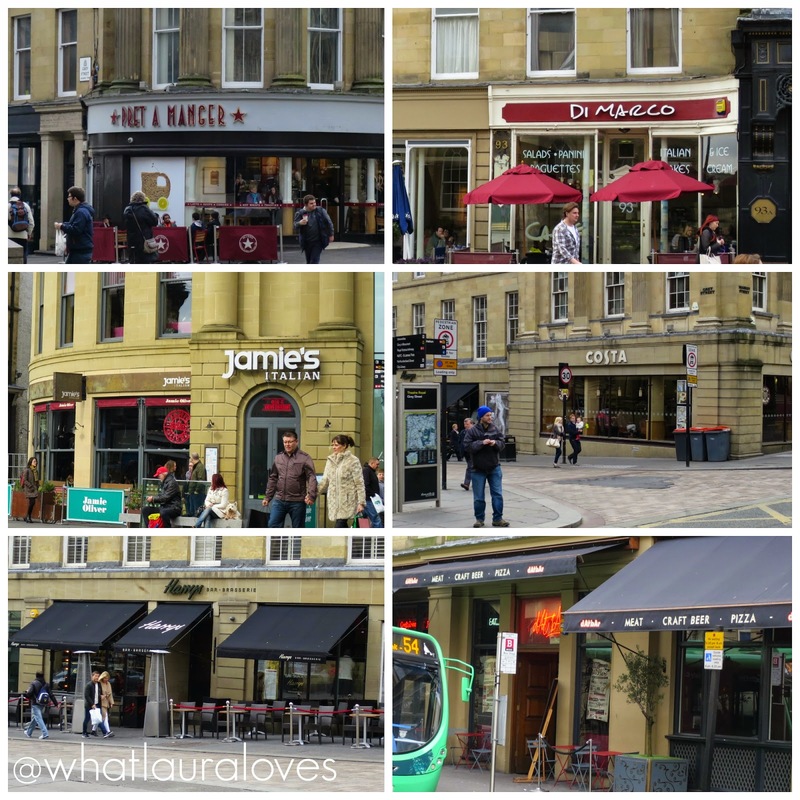 What is your favourite place to visit in Newcastle? Which show would you most like to see at the Theatre Royal? Start Saving for that Summer Holiday Now! I love going to the theatre, I haven't been for years though! Newcastle's theatre sounds great! I adore going to the theatre, such a fantastic experience! I haven't made it to the Theatre Royal yet, I'm waiting for the shows I missed when I left London to start touring and then I'll be there like a shot. I love the theatre! Love the theatre as well! I did performing arts at college and got to go to see so many great performances! Film is great but nothing can make your hair stand on end like an amazing live voice or a gripping performance from an actor in the same room as you!